Take care of those pearly whites early on! Watching your child grow is often an exciting journey, especially because you will share many firsts together. Some of these first-time experiences include their first smile, the first time they sit up, and the moment of truth when they take their first steps on their own. With more phases of growth comes more responsibility and more new things to learn about your kids. 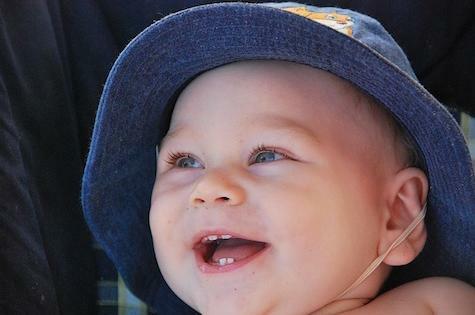 One of the many things that you’re going to need to learn about is how to look after their first teeth. If you’re a new parent, then you’re probably wondering whether to use a toothbrush or not, what kind of toothpaste is best, and when to take your child to the dentist. Below are three handy tips to help you care for your child's teeth. Your child should have 20 primary teeth in total by the age of three. However, their first primary tooth should begin to show between six and nine months. Therefore, from birth to twelve months you should begin oral hygiene by cleaning their gums with gauze, cotton or a washcloth. The Australian Institute of Health and Welfare found that tooth decay among children is a common issue with at least half of six-year-olds having some form of decay in their baby and adult teeth. On these premises, it may be a good idea to get oral hygiene started as soon as possible so they can pick up the habit early on. Once your child has reached the age of one, they can graduate from gum cleaning to using a child toothbrush. They can also use toothpaste which is specifically made for kids, but it’s important to note that it shouldn’t contain fluoride unless prescribed by a dentist or pediatrician. This is because until they can properly spit, it is likely that they’ll swallow too much toothpaste. It is important to note that your children’s teeth aren’t invincible and they are at risk of tooth decay, also known as early childhood caries, as soon as their first tooth emerges. If it’s severe enough, early childhood caries could lead to loss of teeth, so it’s important that you brush their teeth daily. If you notice any signs of decay, contact a reputable emergency dentist in Sydney who has experience with dental care for children as soon as possible. In order to prevent such occurrences, remember to brush all surfaces of their teeth, angle the brush at 45 degrees to their gums, and brush their tongue to remove all bacteria. It is usually recommended that children brush twice a day, preferably after they’ve had breakfast and before they go to sleep. Once they’re around the age of two and have at least two front teeth touching, you can begin whipping out the floss and adding that to their dental hygiene routine. Note that it is likely that you’ll continue to do so until they’re between 8-10 years old as they may not find it as easy to do as brushing. In the process of teaching them how to floss, try using a floss holder as it may be easier got them to get the hang of. You’re going to be responsible for brushing your child’s teeth for quite a few years with the recommended age to stop being around seven or eight. It means that it is your responsibility as a parent to ensure your kids have the best possible dental hygiene in the early years of their life. By applying some of the tips mentioned in this article, you’ll do perfectly fine in that department! Searching for a reliable affordable Cosmetic dentist in Cranbourne North is no more difficult. With Dentist Clyde being in Cranbourne North, you have the ultimate destination for all kinds of dental solutions. We care for your teeth in the finest way. With our trained, qualified, and experienced dentists, your oral health is 100% secure. Eve Dental Centre offers a wide range of general, emergency, family, and cosmetic dental treatments at reasonable prices in Cranbourne North. Dentist Berwick, Clyde, Cranbourne North, Narren Waren offers your dentists of choice for general, surgical & cosmetic dentistry. Team of best dentists in Berwick. Call 03 9702 0234 to book appointment today with Affordable and friendly dentists. Woodleigh waters dental surgery is the best choice for you to get any dentistry services in Dentist Berwick, Dentist Clyde , Cranbourne North, Narren Waren. I attempted some dgtoothpaste. This did disappear and it truly worked well, i then discovered this particular small beauty of a package for sensitive teeth along with bleaching. My personal teeth possess slightly white-colored and that i can continue to get the relief from the actual sensitive toothpaste too.